A traffic circle at the intersection of 45th and South Marshfield, across the street from Davis Square Park in Back of the Yards. BACK OF THE YARDS — Ald. Raymond Lopez (15th) plans to spend almost $400,000 to fight gang violence with weapons you might not expect: speed bumps and traffic circles. After a spate of gang shootings this summer, Lopez is pushing the Chicago Department of Transportation to install the speed stoppers all over the neighborhood before fall. "These enhancements will absolutely decrease and restrict the amount of traffic coming into the area," Lopez told DNAinfo. They will be "a definite deterrent to those gang members accustomed to driving in, shooting and speeding out." Ed Komenda talks about slowing down traffic to reduce gang violence. The speed bumps will line the blocks surrounding Davis Square Park, 4430 S. Marshfield Ave, including Hermitage, Paulina and Marshfield — an area the alderman considers "ground zero" for neighborhood violence. The speed bump portion of the project will cost about $140,000. 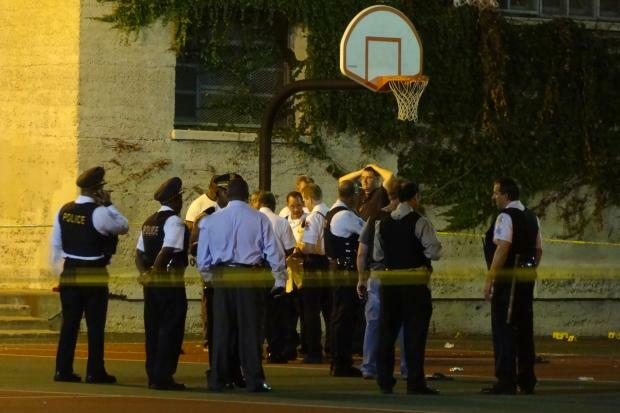 After a spate of gang shootings this summer, Ald. Raymond Lopez is pushing the Chicago Department of Transportation to install speed bumps all over the neighborhood before fall. The alderman's move to enhance the neighborhood's safety features will use funds from Lopez's infrastructure spending budget. 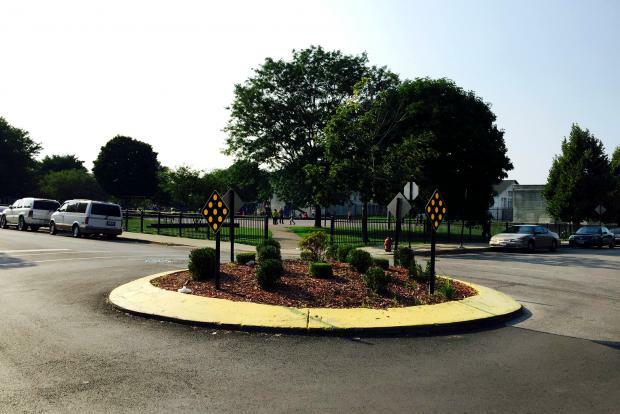 The city doesn't usually construct speed bumps and traffic circles until October or November, but Lopez asked the city to start the work this month, after a flurry of gang shootings this summer. At 4:45 p.m. Monday, someone in a passing SUV shot at two men standing in the 4400 block of South Paulina Avenue. On July 27, 16-year-old Jessica Williams had a fatal asthma attack while running away from a shooting that left two people dead and two wounded. On July 23, Roberto Ortiz, 20, died five days after being shot in Back of the Yards. "I have heard and seen firsthand the atrocities of gang and gun violence impacting my community," Lopez said. About 439 people were killed or wounded in 360 shootings across Chicago in July, according to a DNAinfo Chicago analysis — a 45 percent increase compared to last year. In July 2015, there were 307 victims in 247 shootings. Homicides are also up, with at least 66 people killed in July compared to the 55 killed last July. "Talking is not enough," Lopez said. "We must direct our funds to help keep our residents safe." Speed bumps have been used in other parts of the city to prevent troublesome people speeding down streets. In July 2015, Ald. Brendan Reilly (42nd) launched an effort to curb reckless driving with speed bumps and barricades on Lower Wacker Drive, where a 20-year-old crashed his car during a drunken drag race against a friend and died. Lopez expects the construction work in Back of the Yards to be done by the end of summer.